If your child is having a packed lunch, can you ensure they get their food in a plastic/metal container and not in glass for Health and Safety reasons. If your child is having school dinners could you please talk and discuss with your child so that they are sure what they have ordered and know what they would be offered for that day. 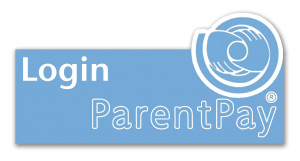 Thank you to all the parents/carers who have ordered their child's hot school meals using the new ordering system on ParentPay. There are still a significant number of parents/carers who are not yet ordering hot school meals through the ParentPay platform. Please ensure your child's hot meals have been ordered by 11pm the following day on www.parentpay.com. The menu with all food choices is on the ParentPay system up to half term. This gives you the opportunity to order your child's food, daily, weekly or all the way up to half-term. Roxbourne is a NUT free school, therefore we remind parents not to include any food in their child’s lunch box that include nuts. This includes nutella. Thank you for your continued support. Parents may also wish to consider the use of small cool bags and ice packs. If you are in receipt of Income Support, Income Related Job Seeker’s Allowance or Child Tax Credit without Working Tax Credit, you may be entitled to a Free School Meal for your child. Please collect a form from the School Office.